Succeed in the digital, customer-first world. 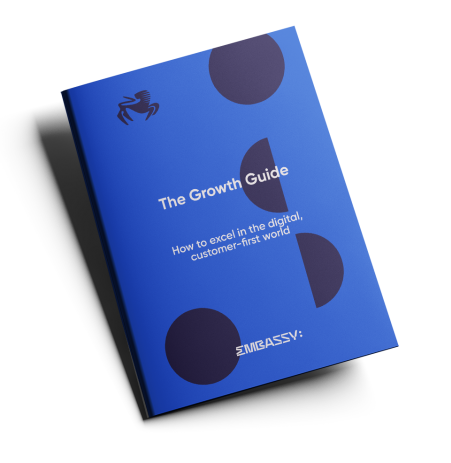 Embassy of Design's Growth Guide walks you through the key elements of growth in digital business. Whether you’re an up and coming startup looking to become a scale-up, an established business looking for new avenues of growth, or a venture builder, the fundamentals of growth apply to you. 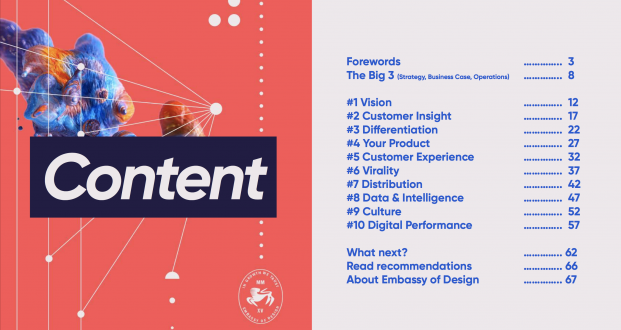 Get your no-nonsense, practical checklist to support you in your quest for future-proof growth in this fast-paced, data-driven reality. What can you do with the guide? Why should you believe anything we say? Embassy of Design is a growth strategy & culture consultancy with strong expertise in technology, banking, mobility and wellbeing sectors. We prepare new ventures for growth, and help established companies transform their marketing and product teams into agile growth teams. Before joining EOD, our key personnel have ran crowdfunding campaigns for technology companies resulting to millions of euros, launched businesses across Europe and Asia, and established agile growth operations in companies from startups to organisations with multi-million turnover. We want to share our methods with like minded people and help the CEOs, CDOs, CMOs and other growth-driven professionals achieve their goals with more joy and less friction. As the growth marketing partner for Finland's biggest bank OP, we launched DriveNow (founded by BMW, operated in Finland by OP) to Helsinki in May 2017. EOD has been in charge of establishing the growth marketing operations of Finland's DriveNow ever since, achieving highest customer activation and brand ambassador rates amongst all DriveNow markets. © 2018 Embassy of Design. All rights reserved.